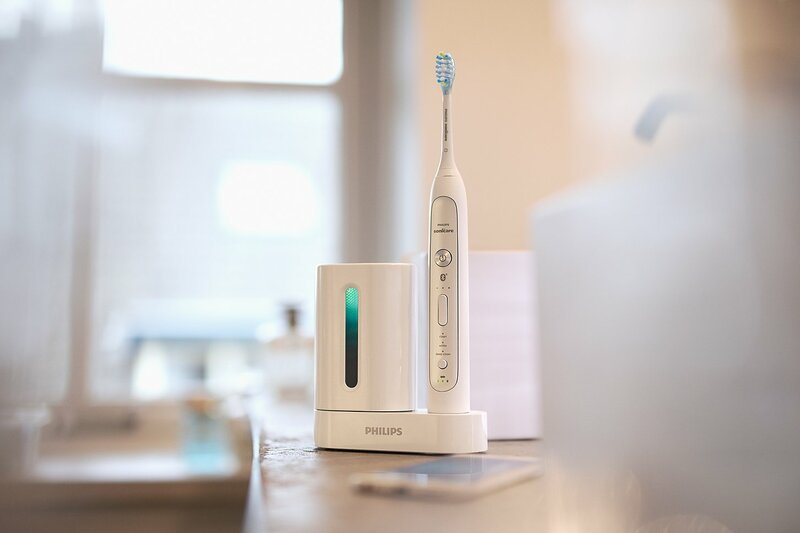 Philips Sonicare Flexcare Platinum Connected is the latest innovation from the #1 dental professional recommended power toothbrush brand in the US. 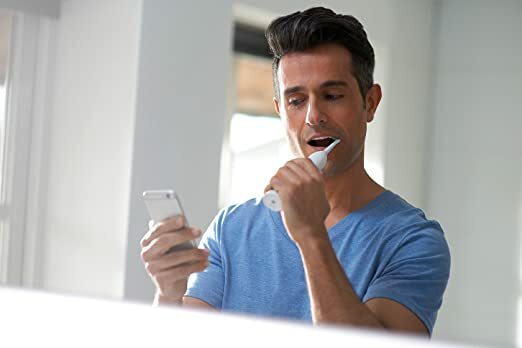 This high-tech brush uses Bluetooth® technology to connect to the free Philips Sonicare app and tracks brushing in real time – it reveals trouble spots via a 3D Mouth Map, guiding users to a complete clean. It has Smart Sensor technology to track brushing location, scrubbing and pressure, and ultimately the brush teaches users to change their behavior and be better brushers! Data is stored in the handle so it’s tracking even without your phone being in the bathroom (no toothpaste spills or water splashes!). surface contact to effortlessly remove up to ten times more plaque in hard-to-reach areas. The Location Sensors show where users are brushing too much or too little for better coverage and plaque removal and the Scrubbing Sensors alert users to reduce scrubbing for optimized technique and a deeper clean. Pressure Sensors track brushing pressure and alerts when/where too much pressure is applied, to protect gums. 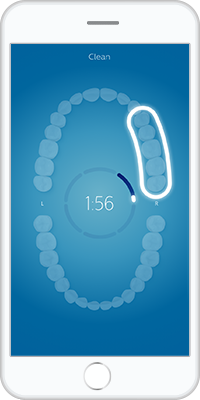 And the Smart Timer ensures you’re brushing for the dentist-recommended two minutes. The Philips Sonicare FlexCare Platinum Connected makes a great gift this holiday season and will help anyone and everyone take better care of their teeth! 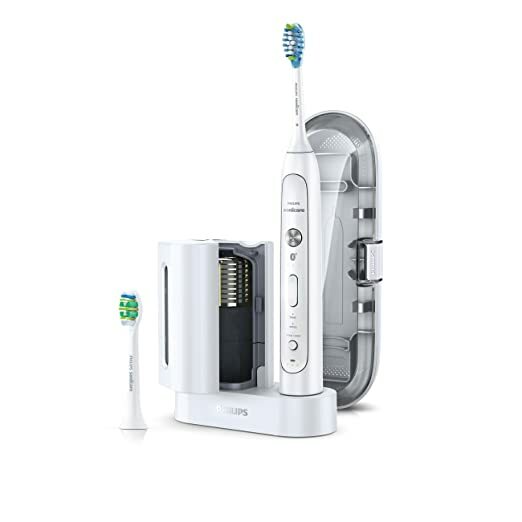 You can purchase Philips Sonicare FlexCare Platinum Connected for $179 on Amazon.com and from other major retailers.